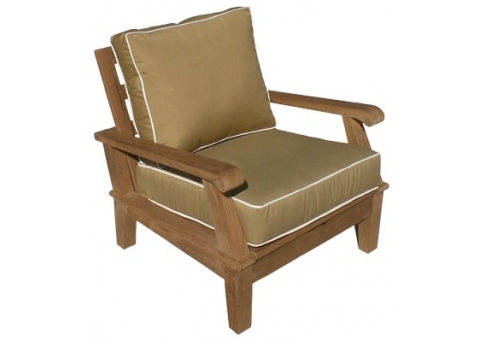 It's easy to relax in this Miami Deep Seating Teak Chair that reclines in three positions! This teak chair offers a very sleek design complimented with thick cuts of premium grade teak wood. Three standard cushion options are available to allow you to pick the best color for your surroundings. Choose from off-white cushions with off-white cording, bronze cushions with off-white cording and navy blue cushions with off-white cording. 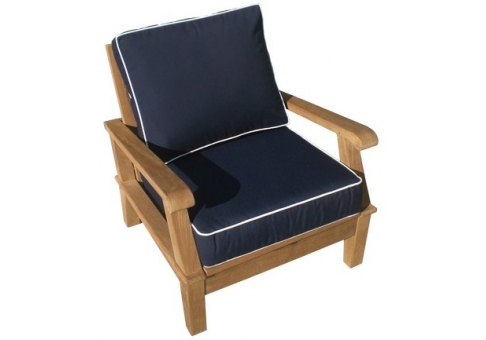 You can also choose to upgrade your cushions to your choice of Sunbrella fabric. 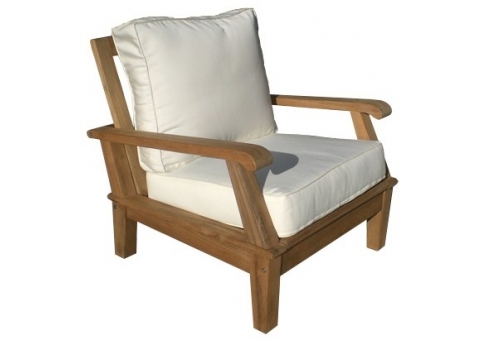 The quality of this teak chair is sure to surpass your expectations!